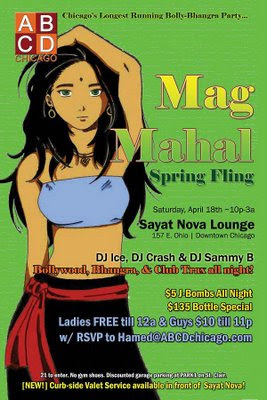 DJ ICE, DJ CRASH, & DJ SAMMY B spin Bollywood, Bhangra, Hip-Hop, & Club Anthems all night! [NEW!] Introducing curb-side VALET SERVICE in front of venue for the 1st time ever! 21 to enter. No gym shoes. Call 773-490-0975 for table reservations or group/b-day deals.